At Dover Family Dentistry, we understand that children have unique dental needs and that going to the dentist can sometimes be seen as a stressful experience for them. This is why we have a pediatric dentist who specializes in handling these needs. What is the difference between a pediatric dentist and a family dentist? Pediatric dentists are the pediatricians of dentistry. 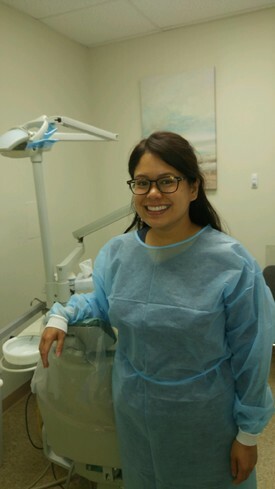 Our pediatric dentist, Dr. Kathrina Delima has undergone extensive advanced dental training. She also has extensive experience in use of nitrous oxide and advanced behavior management. At Dover Family Dentistry, we offer gentle care for children and teens. Our goal is to protect your children’s teeth so they can eat and speak correctly. Our pediatric dentist strives to help your children have the bright beautiful smiles they deserve. We treat your children with respect and explain every step of their dental care in age appropriate, child-friendly terms. It is our goal that your child develops and maintains a positive association with dental care and we do everything we can to create a pleasant, supportive, and fun environment. Contact us at 973-361-6200 to schedule an appointment. We proudly serving patients from Dover, Randolph, Rockaway, Denville, Morristown, Cedar Knolls, Succasunna, Whippany, Jefferson, and other towns in Morris & Sussex County NJ.